The Arabs invented the Arab Palestinians with the assistance and mission statement and plan of assault by the KGB bringing the Palestinian Liberation Organization (PLO) placing two holocaust deniers, Yasser Arafat as the titular head and Mahmoud Abbas as the financial administrator, planning organizer and any other required challenges needed addressing to perform any terror attacks in any position required which eventually made Abbas to take over the lead role after Arafat died mercifully in a French Hospital. The PLO was founded in 1964 with its charter calling for their to make a Palestinian State on the occupied lands from the 1948-9 War of Annihilation which failed to rid the Arabs of this Jewish State which was their chosen nemesis despite the Jews repeated pleadings to live in mutual efforts for the improvement and enrichment of both Arab and Jew. Such did turn out to be a workable effort inside Israel after the initial war which the Jews and Zionists who were working with the Arabs who remained within Israel during the near two years of war; some even aided the effort in defending the nascent state of Israel and even fighting alongside against the invading armies of seven Arab nations and a few militias such as the Arab Palestine Brigades under the command of the Mufti of Jerusalem Amin al-Husseini. 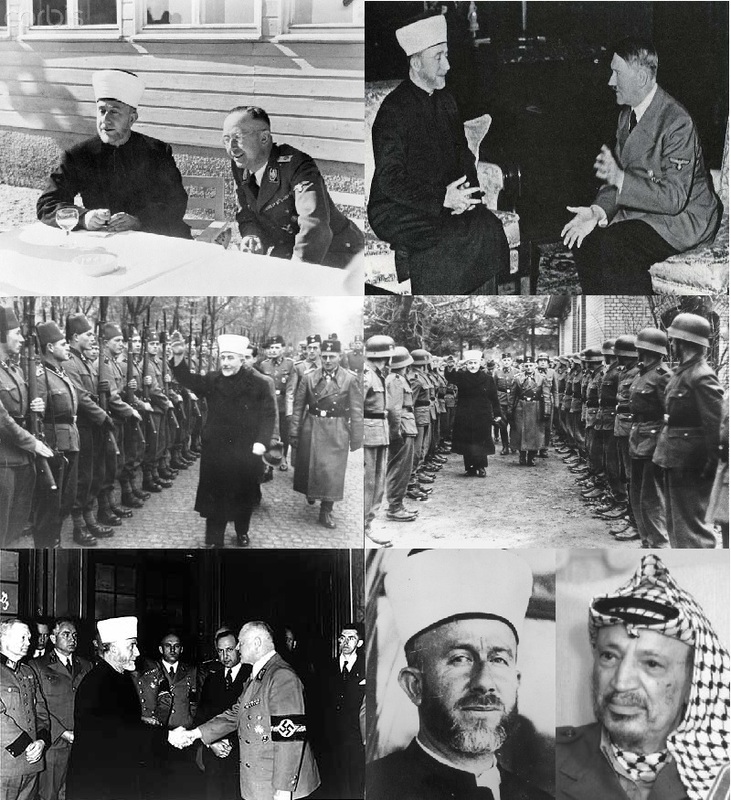 One interesting fact about Mufti of Jerusalem Amin al-Husseini is that he spent World War II as a host of the hierarchy of the Third Reich including the Führer Adolph Hitler, Foreign Minister Joachim von Ribbentrop, Reichsführer of the Schutzstaffel (SS) Heinrich Himmler, and other leaders and people of influence and was charged with coordinating Arab assistance against the Allies and making broadcasts into the Arab lands to coordinate such actions. He was also placed in command of two SS divisions he formed from Muslims in the Balkans who were used in rounding up Jews, Roma, and Serbians who were sent to the death and work camps in the Balkans and southern Poland. There have been rumored reports claiming that the Mufti had influenced the discussions at the Wannsee Conference from which the Final Solution was implemented. Further, the Mufti of Jerusalem Amin al-Husseini was instrumental in the rioting which claimed numbers of Jewish lives in Hevron and Jerusalem throughout the 1920s and 1930s making radio broadcasts on the British provided radio broadcast systems to incite Arab rioting by claiming the Jews were defiling the al-Aqsa Mosque by holding their Satanic services and were then going to destroy the al-Aqsa Mosque and Dome of the Rock. His broadcast should be somewhat unnerving as they were almost identically copied by over the past months by Mahmoud Abbas. But such should be expected as Yasser Arafat claimed the Mufti of Jerusalem Amin al-Husseini as his Uncle and inspirational figure after which he modeled his life, unfortunately all too well. So, back to the founding of the PLO in 1964 whose charter set as their goal to conquer all of the occupied lands of the Palestinian Arabs and after cleansing the lands of the Jewish infestation, turn the occupied lands over to the Jordanians as Jordan is the homeland of the Palestinian Arabs. There was no idea of an independent Palestine, just the eradication of the occupied lands in 1964, three years before the Six Day War and Israel’s gain of the lands east of the Jordan River. The occupied lands then were all of Israel as that was what the Arab League and the Arab world referred to the lands not conquered in 1948-9 in what according to the Arabs was to be a War of Annihilation where the Jews would be driven into the Sea, the Mediterranean Sea and left to drown. The Jews of Israel was so relieved and elated to have survived this war that it was named by Israel as their War of Independence. The lines which would be formed three years later to refer to the old border before Israel actually won back the lands she lost in that original war plus took the Golan Heights and Sinai Peninsula were called the Green Line. The Green Line being an armistice line had no actual meaning as a border, exactly what the Arab forces demanded as part of the armistice as they did not desire Israel have any set border. The problem is Israel has had a number of borders over the last three-thousand years plus some of which actually were the Jordan River. The Jordan River as a border came about after the British took the lands west of the Jordan to build the Palestinian Arabs a state of their own. When after the 1948-9 war ended and Jordan occupied the Jewish areas of Judea and Samaria they expelled the Jews off their lands and threatened them with death if they refused to relinquish their lands. Jordan immediately deeded these Jewish lands to people from their military in order to assure the Jewish claim was superseded. There have been cases where just such an award of the land was held up as valid voiding an older claim and deed presented by the Jewish family before the Supreme Court. These things too will be straightened out with time. So, from the beginning the charter of the PLO was to conquer the remainder of the lands east of the Jordan River driving the Jews into the Sea. It was after the First Intifada which was ordered by Yasser Arafat from his Tunisia exile that Leftist working with fellow leftist arranged for the Madrid Summit which led to the Oslo Accords. It became apparent that the entirety of the Oslo Accords was a complete sham as almost immediately after the return of Arafat and his PLO that nothing he had agreed to implement were going to be put into acts while the leftists peace at any costs no matter how many dead lay strewn across the path were going to hold Israel to every last promise made in order to gain Arafat’s lies and duplicity. Meanwhile there was the change of the PLO into Fatah political party and the Palestinian Authority (PA) which was to be the replacement for the PLO and be Israel’s peace partner. This sham was signed into implementation in September of 1993 after which Israel provided the PA Security Forces with weapons in order to carry out their task of ending terrorism. This was an interesting proposition as these security forces were comprised largely by the terrorists themselves. Soon after the implementation of the Oslo Accords it became furtherly evident that Yasser Arafat was using the terminology of a security force to amass an army which would be armed and even trained by Western liberal fools who would leap at any idea which contained the word peace anywhere in the explanation of the venture. Meanwhile the main stage of the ruse took shape very quickly. While Arafat was amassing a well-armed and well-trained militia the peace side of the accords dragged forward. It became apparent that peace was not the true end of the negotiations but rather collecting Israeli concessions. At almost every opportunity Arafat took offense at some insignificant item which he would blow into a major incident and demand compensations or he would end the talks immediately and return to terrorism as the only path to gain his goals. Of course nobody ever asked Arafat or Abbas after him to define their goals; it was just assumed that the Oslo Accords was all about two states living side-by-side in peace and security. Arafat and Abbas were not about that and that became apparent when Arafat received a surprising offer at the Paris peace talks where Arafat had lain out his demands which he was assured the Israelis would never accept, namely all of Gaza, over ninety percent of the ‘occupied’ areas of Judea and Samaria and half of Jerusalem including the Temple Mount and all of the Old City. He assured and promised President Clinton that should Israel meet these demands then peace was not only possible but all but attained leaving only a signing ceremony at the White House. President Clinton pressed Prime Minister Ehud Barak who finally caved and willingly met every last demand in the offer by Arafat. When Arafat was presented the Israeli agreement to all of his demands something very telling happened, Arafat stormed out of the early morning meeting without a word and got into his waiting vehicle and sped off without so much as answer to the offer, his demands in the form of a treaty, he knew he had set his own trap and now wanted to escape and get as far away as he could from the monster which had turned on its master, Israel had agreed to his demand, now there was nothing left to do but poison the waters. This Arafat did by initiate with the Second Intifada which had been planned to be implemented immediately after the talks failed. Their almost succeeding was never foreseen by Arafat; so it was still too early to begin the violence as it required a triggering point, an excuse, thus the period of waiting for the right moment began. That impetus was provided by the visit by Ariel Sharon to the Temple Mount. Arafat’s minions in the PA government arranged and approved every last step of the visit knowing it would be used as the tripwire for the Intifada which over its five years caused over a thousand Israelis their lives and smashed any hope of peace. When order was finally restored the peace process had been returned to square one and more Israeli concessions were now to be required along the way with the talks moving in spits and starts with demands all along the way to continue the talks or to lure the PA back to the talks. The death of Yasser Arafat did not provide to make the path any easier despite the Arafat clone in a suit, Mahmoud Abbas. The Second Intifada was never closed by the PA; they planned on milking it for all it was worth. That ended when the IDF entered into Judea and Samaria and forcefully ended the attacks by disarming the snake. Unfortunately the idea of peace of two states side-by-side living in peace had such a Kumbaya feel to it that it had taken on a life of its own. Western leftists grabbed on to it as their mantra which was to be used to chant down any rational actors who saw the irony of the entire farce. Still today with the entire Middle East in flames and only Israel not having faced a large Arab insurrection, the continued watchword out of the duplicitous Obama White House is the two states for two peoples mantra with its purveyors feigning blindness refusing to see what has become blatant in the Western World’s face, incitement and hypocrisy by Abbas and the rest of the officers of the PA. The PA has all but disbanded and is threatening Israel with allowing not just Hamas, but also Islamic State to replace the PA as Abbas and his cronies speed off into the sunset with their trillions of dollars stashed in their Swiss bank accounts, and off to some plush European hideaway to live out their lives in peace, or so they are planning. They may find that their funds prove to be too much of a lure for the leaders of the Islamic State who may demand the stolen funds be returned at least in part in exchange for the safety of those remaining in retired exile. Still, Abbas may be felled by that greatest of all temptations, greed. 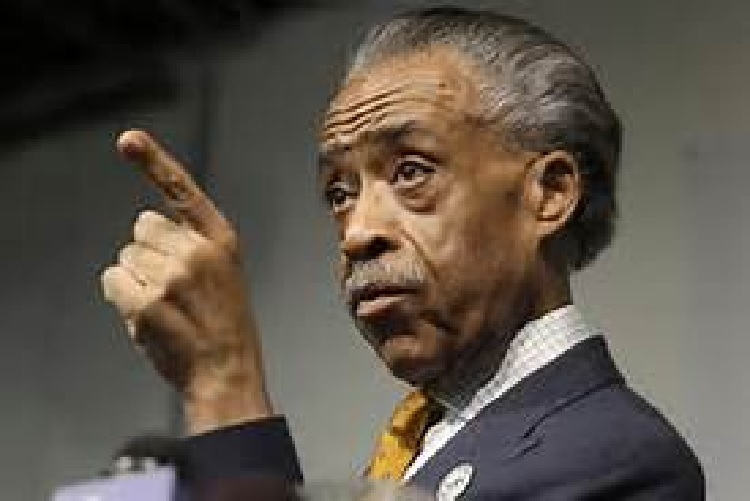 Should he fall astride of this temptress, he may find her wildest charms proving to be his final meltdown and his end at the hands of his replacements, the Islamic State. Should this change of power take place, it will present the world with a difficult problem as the Islamic State has been cast as the ultimate evil and completely separate from the Arab ‘Palestinian’ terror forces against Israel as the power behind jihad in Israel will have become the same power as the Western World had already given the title of threat and scourge of the West will now also be the jihadi forces Israel will be battling. This will give the West and Israel a common foe which can no longer be differentiated and the Islamic State fighting the Western powers and also fighting Israel. This will give Israel the freedom to finally take off the gloves and deal with the problems directly and squelch them at their source. With a common foe it will take the plaintive cry that the two forces of jihad are completely separate and the same brush cannot and must not be used when painting the picture of jihad around the world. Having a similar enemy may prove unsettling to the West; it will have a very calming effect in Israel as finally the monster faced daily by Israel will be identical to the jihadi monster facing the world over. This day was inevitable as there actually was no difference between the jihadi groups faced by the forces around the Middle East and those targeting Israel. Gloves off, the world may finally be spared making the choice between an Israeli Jewish, Democratic State between the River and the Sea or an Arab Palestinian terror state there in its place as the jihadi force of the Islamic State. With Israel now a significant part of the forces being brought to bear against the Islamic State it may be but a matter of time, possibly a shorter time than one might believe to a world worth aiming for. Imagine a world without terror, it’s easy if you try, a world without senseless violence, a world for you and I. Imagine, if you will, a world where we are brethren, fighting the very same foe, imagine, Hashem willing, a world made free of threats and violence. Imagine, if you can. Imagine a world where peace spreads faster, faster than its nemesis, hatreds and violence. Imagine a world where answers outweigh the problems facing us and we can all work as one. Imagine! The death of twenty-one year old Hadar Buchris added to the casualty count since the violence escalated at the start of October, twenty-one Israelis have been murdered in these attacks. There were two other incidents Sunday with one of the attacks having incorporated a pair of assaults. We were fortunate that there was but one additional person injured who was able to be treated at a care facility and then released as the wounds were minor. Earlier in the day the quick thinking and in a quick but risky decision to act likely saved a number of lives. 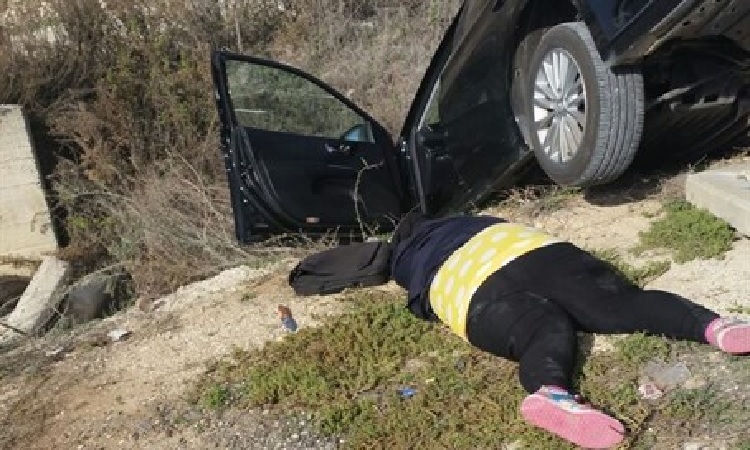 The brave act also risked the life of former Samaria Regional Council head Gershon Mesika as upon seeing an attacker wielding a large knife, he swerve launching his car striking the terrorist and landing his car in a ditch. In an interview with Army Radio, Gershon Mesika recounted stating, “I heard someone shout ‘terrorist’ and run toward a girl from Har Bracha, wielding a knife. I made a quick decision; I veered to the right and slammed into her. A soldier then came and finished it.” Gershon Mesika, a resident of Elon Moreh which is located close to the intersection, veered off the road striking the terrorist with his vehicle ramming into the female terrorist after which the terrorist apparently still determined picked herself up to continue the assault. Soldiers on duty at a nearby checkpoint heard the commotion and responded then shooting her, neutralizing her right there on-site. The terrorist was initially listed in serious condition but soon was determined to have succumbed to her wounds and was declared dead at the scene. Gershon Mesika, who is the former head of the Samaria Regional Council, came from the ordeal suffering only minor wounds best described as a few scratches from his actions in stopping the attack. The same cannot be said for his car as indicated in the picture below. Warning, picture includes the body of the neutralized terrorist lying next to the vehicle. Following, below the picture, is a recounting by Gershon Mesika of the events as he viewed them from inside his vehicle which he provided to Arutz Sheva. resulting in her being shot by soldiers recognizing the threat to people at a bus stop nearby. The other attack came soon thereafter the attack just covered occurring at Kfar Adumim junction located a little bit northeast of Jerusalem. The initial part of the terror assault was an Arab cab driver using his vehicle to ram the target vehicle in attempts to either force them to crash thus injuring the occupants leaving them either dead, badly injured or simply startled placing all in some various state of shock and near helpless to resist further attacks or to get them to stop and leave the relative safety of the vehicle and then assault them. The report shows the latter was the result after rammed the target vehicle twice, or perhaps thrice, reports vary as is all too often the case as any terror attack is stress-filled and punishing to straight and logical thought thus leaving some details seemingly occurring differently in subsequent remembrances. The cab driver then attempted to strike some pedestrians nearby before finally exiting his vehicle to carry out the attack with a knife having failed to murder anybody with his vehicle. Rabbi Shmuel Shapira, head of the Zvia Eilat Yeshiva high-school was traveling with his staff when the assault started with the rammings. Rabbi Shapira recounted to Arutz Sheva, “We were en-route to Jerusalem, near Mishor Adumim, a yellow Arab taxi went into us. We made a few turns and the car hit us again. As we exited the car to see what was going on, the taxi driver ran toward us with a knife. One of the passengers in our car had a gun and managed to shoot him. I was close to the terrorist. I was able to get back into the driver’s seat and lock the vehicle. Then, he was hit.” Rabbi Shmuel Shapira sustained some light injuries to his left arm, which he left out of his recounting, perhaps due to modesty or simple oversight, during the attack and was taken to Hadassah Medical Center for treatment. The terrorist died of his wounds being declared dead on scene. Meanwhile, there was a police statement released to the media where it described events as such, “A Palestinian man at Kfar Adumim junction in a Palestinian taxi tried to run over civilians. When he failed he exited the car with a knife and attempted to stab. The terrorist was shot by a civilian and died of his wounds.” That pretty much sums up the entire incident but for a first-hand accounting we have included below is a video of Rabbi Shmuel Shapira summing up events as best as he was able as the driver of the targeted vehicle. These terror attacks will probably receive minimal coverage beyond Arutz Sheva even by Israeli mainstream media as media covers news events and there being three terror attacks with knives, rocks, Molotov cocktails, or firearms have become commonplace with an average of three to five every day and with rumors of coming declared ‘Days of Rage’ where mostly young men throw rocks at Israeli vehicles and often increased attempted stabbing and are only reported when somebody dies. In Arab media the coverage will tell of the proud, brave, valiant martyrs who gave their lives for al-Aqsa despite the attacks occurring a distance from the holy site, it is the central figure and the news is a constant drumbeat of how the Jews are defiling or attempting to destroy the al-Aqsa Mosque. The al-Aqsa Mosque was the rallying cry of the Hevron and Jerusalem riots in 1929, 1933, and 1937-9 all before there was any Jewish state or claims of occupied territories. The Mufti of Jerusalem Amin al-Husseini used claims that the al-Aqsa Mosque was being destroyed by the Jews. The claims of Jews assaulting or attempting to blow up the al-Aqsa Mosque or the Dome of the Rock are often used and these two structures are often mistaken one for the other. The Dome of the Rock is the gold topped building while the al-Aqsa is less ornate. The Dome of the Rock is the structure closest to where the first two Jewish Temples stood while the al-Aqsa Mosque sits in an area where the Jews had some minor structures which may have served as residences or changing rooms and Mikvah, which, for lack of a better analogy, a public bathing pool made up of collected rainwater or other considered pure sources and is used for purification not all that dissimilar in use as to a baptism except the person using the Mikvah needs to be naked such that all parts of the body have actual and complete contact with the water including the hair which must be submerged and not permitted to float on the surface. 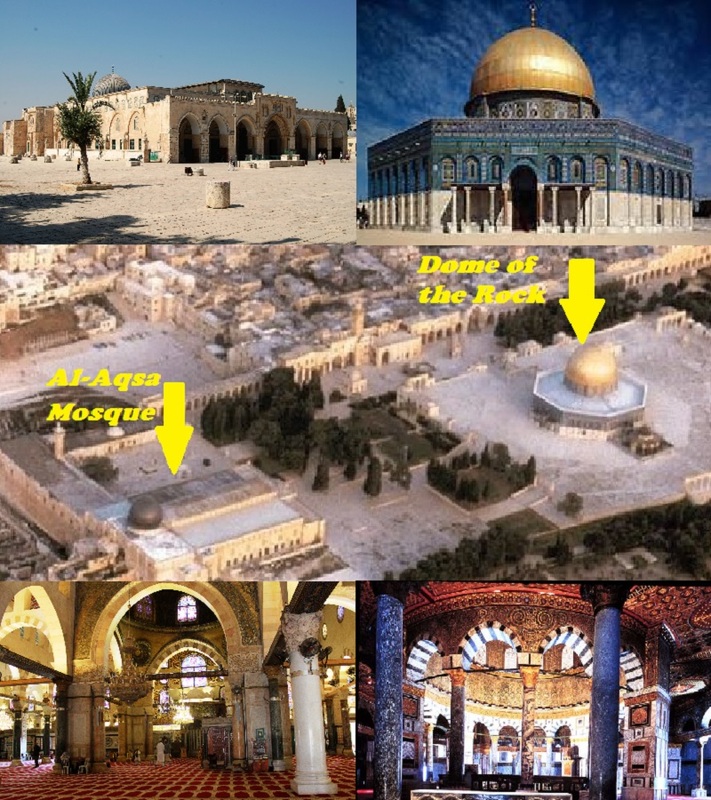 Below there is an image placing the al-Aqsa Mosque and Dome of the Rock pictures side-by-side for comparison. Looking at the image of the Temple Mount, there is room between the Dome of the Rock and the al-Aqsa Mosque where the temple could be erected or, like King Herod, Israel could enlarge the Temple Mount again making it easily large enough to handle the Temple along with a couple of Synagogues and potentially another church complex or whatever seems to be a good idea at the time. By adding more to the Temple Mount the additional area could be placed under Israeli control freeing the area from any Jordanian dictates. The options are endless but the one thing which must never be permitted is making the entirety of the Temple Mount in Arab hands as it cannot be risked that the Temple Mount and surrounding areas be forbidden for Jews to access. That too comes under, Never Again! !